This title is not a book, but a CD-Rom format of an almost complete and rare collection of timetables plus other data. The files are in PDF format and may be printed. 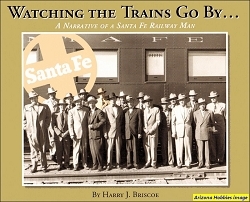 The Santa Fe, Prescott & Phoenix Railway was incorporated in May 1891 and built to service the populace and mining communities of central Arizona, later becoming an intricate part of the Atchison, Topeka & Santa Fe Railway in Arizona. At Ash Fork, Arizona this line connected with the Atlantic & Pacific Railroad (an AT&SF subsidiary) and extended south 196 miles to Prescott and Phoenix, Arizona. This segment was nicknamed 'The Peavine' for it's winding route. This line included a number of branch line (Phoenix & Eastern Junction to Middleton, Poland Junction to Poland, and Phoenix to Mesa, Arizona). 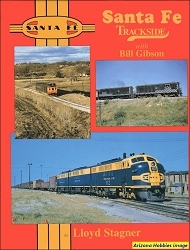 This collection covers the period from 1893 to 1921 before the trackage came under AT&SF Coast Lines Albuquerque and Arizona Divisions. Data includes station names with train schedule of times, train numbers, classes of trains, service facilities, side track capacity, telegraph call letters and more. The timetables are professionally and beautifully reproduced in Color and in their original archival state. Omni Publications, CD-Rom PDF timetable collection.